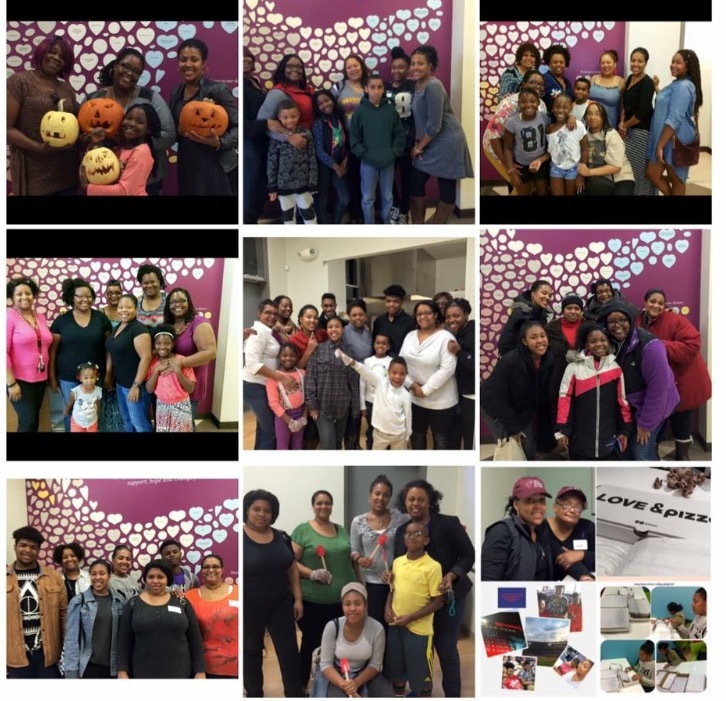 My Sisters My Friends is a community service group that provides volunteer support to organizations in the Washington region that focus on issues related to women, children, seniors, poverty, homelessness and human trafficking, just to name a few. The diverse group is a network of family members and friends of different ages, professions, talents and interests. The group regularly provides meals at Calvary, and has also pitched on some administrative tasks. One member of My Sisters My Friends, Tanya, says, “We approach volunteering as if we are serving a meal in our own home. We choose what to prepare and serve, and enjoy it right along with women at Calvary.” Their enthusiasm and love for service makes them more than worthy to take this month’s Volunteer Spotlight! One of our members recalled volunteering at Calvary’s previous location in Chinatown. We did a little digging and agreed that it was an organization we wanted to add to our list. We are now into our second year of volunteering with Calvary. One of the key factors that attracted us to Calvary Women’s Services was the focus on women and the needs of women. While we have male members, we feel that it is so important to be there for other women, hence the name My Sisters My Friends. The women at Calvary look like us, they act like us and they have huge, open hearts and big personalities just like us. For many of us, the reality is that we could see ourselves or a member of our families in a shelter. We would want someone to be there for us and treat us with respect, too. Everyone is amazing – the staff and the women who live there. We chat and break bread together. We talk about food, the weather, or whatever. Some of the ladies always greet us with a smile and warm embrace. Many in our group have been surprised by the incredibly positive attitudes of many of the women living there, regardless of their current circumstances. Initially, some of our young volunteers were unsure of what to expect. They thought the women would be intimidating, but they have learned otherwise. We were also quite impressed with the state-of-the-art kitchen. The cooks among us love it! Just one? We came up with SERVICE, GENUINE and LOVE!